ARE TEMP WORKERS OF FORD AFFILIATES BEING SOLD OUT BY UAW? 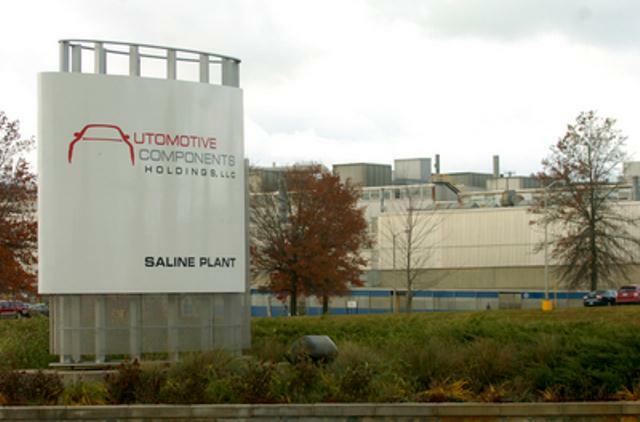 The Automotive Components Holdings plant in Saline, formerly Visteon, was Washtenaw County’s largest employer. Pat Meyer, retired postal worker and union representative, is now working to help UAW members. Recently AXS-TV broadcasted a show dealing with American workers who have been displaced by foreign workers in this country. The issue we are dealing with is the “temporary” workers of the ACH (Automotive Component Holdings) Corporation who helped Ford Motor Company to make such a miraculous recovery at the expense of their pay and benefits. Unlike the workers in their piece being from foreign countries, it was the corporation which was brought in from another country to lower wages and benefits. The Ford Motor Company seems to have benefitted greatly by “leasing the business” to another company while maintaining control of property, equipment, process, and workers. These so called “temp” workers have in fact been working in Ford facilities for seven years, many putting in 10 and 12 hour days, six and seven days a week. Of course being a temporary qualifies them to no insurance, half price pay, and no written contract covering them until the September 2011 contract. They have been dues-paying union members the entire time with no representation or contract of their own. Even the barest essential of bereavement pay has been refused to them under the name of helping Ford survive. All along these temporaries have been promised to have preferential hiring rights to Ford, after the new buyer gives consent to releasing them. It seems these temporary employees had been “sold” along with the business to guarantee the new owner could take over with a skilled workforce that would insure the new company could maintain the productivity and quality of Ford standards. Workers at the Milan Automotive Components Holdings LLC plant in Milan take “mules” off the line where bumper covers are made. The mules hold the covers in place as they go through painting and sealing. 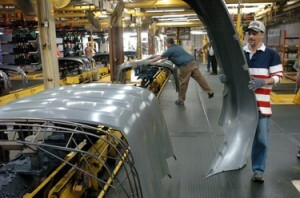 Buyouts are expected to trim even more auto manufacturing jobs in Washtenaw County in 2007. Debi Muncy, a Ford worker, has been proud to pay union dues for almost 30 years. 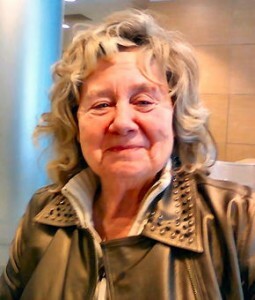 She has given of her family time and financial donations to help support many activities that were and still are of importance to raising standards for working people. She feels that the temporary workers have been treated like second class union workers. She has not paid union dues to support this kind of treatment. Debi is ashamed to see that both Ford corporate execs and union “exec” leadership have prospered in pay rates and bonuses while standing on the back of these workers. At some point the union has stopped representing workers and become the employment agents for this corporation. Any objections to this is met with intimidation by both union and company officials. American workers’ lives are better for having had good paying jobs and benefits, but we must recognize that our workers have worked hard to achieve these goals. Do companies stay great because of their plan of operation alone, or do they become great because of the operation plan along with the hard working people who get up every day and come to work and do a good job? How much profit can a corporation make when it decides it doesn’t need to pay their own workers enough to be able to afford the product they make? Rob Starks, left, and Dave Breitenwischer discuss the situation of the ACH plant in Saline remaining open after they transferred to other plants. We feel our country needs to know at what price some of our corporations have prospered. We at the LAWS, INC. have been attempting to find some kind of justice for these workers and have been reminded that many things are wrong even though they are not considered illegal. We feel that it certainly should be illegal to profit from workers’ loss. I would encourage you to contact viewer@axs.tv immediately and let Dan Rather and his associates know what is happening to you and your fellow workers. If you have any questions or comments feel free to contact me at kimshee97@att.net or at 269-998-4609. This is written to clearly show how the Milan membership was set aside from any offers presented to other locations. International UAW officials attended meetings here to explain to the membership what their choices would be upon the sale of the Milan location. They were told by rep Jody Dunn that there was no offer of employment to Ford locations. If they wanted to continue to be employed they could choose to sign up with the INERGY AUTOMOTIVE SYSTEMS. If this was not acceptable, they could be terminated. No offer of work at other ACH locations, still operating at this time. It was not until other ACH plants reached sale agreements that these workers realized that they had been excluded from offers made to other locations. Pay and benefits were affected for these dues-paying members of the UAW. This is an explanation of the treatment of the “temporary” workers who have been so instrumental in the success and profitability of Ford Motor Co. It appears from the representation that the International UAW has offered these workers,that the duty of the officials involved was to act as the employment and disciplinary arm of the company. At no time has there been an elected ACH representative, and not until the contract of September 2011 was there written word of their rights and representation. These members have been dues-paying union workers since 2007. The transition agreement used to sell or close the ACH facilities gave the power to the new buyer to determine if this skilled workforce was necessary to ensure the success of their takeover of the business. The ACH worker would be released to their chosen location only if the worker was not necessary to the new buyer’s operation. In the end of the Saline transition these members were forced to abide by a contract that they had no right to vote, however newly hired nonunion temps did have the right to vote. They were also forced to agree to be an employee of a new company for which no work rules or contract had been written. When International UAW rep Jody Dunn explained all this at a meeting he said “Either you want a job or not. If you don’t want to work for this company you will not be eligible for unemployment and won’t be called on for a Ford job.” ACH was being dissolved at this location Oct. 25,2012. Their decision was initially due in November 16th. There was no notice under the Warren Act which guarantees 60 day notice of closure of a company. A contract for this new employer, DAS, was not offered to the membership for vote until March of 2013. The vote was posted on Friday for a Monday vote. The members voted it down because of lack of information and the late notice. Union officials had this information in February, but didn’t think these dues paying union members needed the info. Some members who felt no trust in the union,s promises or lack of knowledge about what would come out of signing with DAS, chose to remain ACH and be laid off. Contrary to the promise of “Preferential Hire” many Ford locations were hiring off the street and these laid off ACH workers were not called in line of their seniority. They are still awaiting to be called to a location which is hiring lesser seniority ACH workers at this time. In many instances these new hires off the street have more seniority then the ACH workers waiting to transition to their promised Ford position. At the Milan location the offer was even worse than that. They were told by International reps that they were not included in any offer of Ford employment. If they did not agree to be employed be INERGY AUTOMOTIVE SYSTEMS, LLC. they would be terminated. And of course there was short time frame to decide. It was not until the other ACH locations were made different offers that this group of dues paying union members realized they had been left out. Adjusted seniority dates, lost benefits, and nonexistent representation has been the penalty imposed on these members. In addition, the ACH members who accepted out of state work, just to get to Ford, had to cover all moving and relocation expenses on their own meager earnings. This is not representation of dues paying union members and the International union should be ashamed of taking their dues. It is clear in every way that as these workers were a vital part of the Ford recovery at the expense of their wages and benefits. No one wants to see the union be destroyed. That is the only reason any of us make a decent wage and have benefits. We just want the union to live up to their own words of representing the membership, not the corporation . For this reason, we feel that a class action law suit is necessary for the ACH workers. If you feel the same about how you have been represented, you should contact the LAWS group to join our growing list. We currently are hearing from workers at Milan, Saline, Sheldon Rd., Sterling Hgts., Rawsonville, Flat Rock, and Dearborn locations. To add your name or ask questions contact me (Pat Meyers) at kimshee97@att.net or at 269-998-4609. 5 Responses to ARE TEMP WORKERS OF FORD AFFILIATES BEING SOLD OUT BY UAW? Been to 3 different ACH plant Utica, Saline and then Milan. Milan sold us out and was told your lucky to have a job. I now lost all of my time I develope with the company benefits retirement etc. They also said they would hire us before they hire off the street but that was a lie. I could go on and on about this. I was the second group of all ACH workers to hire in. I was hired into the Ypsilanti plant on 11/27/06 when that plant closed I was transferred to the saline plant in early 2008 then was laid off and called to the Milan plant on 9/24/09 and at all 3 of these plants I was told I had first hiring rights into a ford plant not to mention I lost my seniority each time I got moved to a new plant. Well on 6/1/11 Milan was sold to ingery automotive and in a meeting Jody Dunn told us if we did not sign on with ingery we would be fired with no unemployement. Meanwhile ford was hiring people right off the street while we was being forced to stay with ingery. Now going on 3 years later most of us old ACH workers at the Milan ingery plant has been fired because ingery wants to keep replacing us with Kelly temp workers for 10/hr and we have little or no backing from the union to fight for are jobs but are dues keep coming out of are checks. So to say we’ve been sold out is an understatement. All I’ve ever want to do is work for ford and union and retire after 30yrs but hell I’m lucky I’ve made it this far hang in there brother and sisters we must stand together in these hard times! I’ve passed the pre employment testing and am moving fwd with the hiring process, for the Sheldon rd plant. I have heard it IS temporary and that they are currently being sold. However, my friend who referred my and is also transferring to ford in July, says they have to say its temporary, but its not. Anyone have any feedback to help me understand what I’m getting in to?